Listen up. I enjoy using your service, I really do. It’s a ton better than using any other mode of public transportation because it’s more convenient, safer, and well, just plain more reliable than taxis, jeepneys, buses, and the MRT combined. But let me put my admiration aside to talk about something quite serious: surge pricing. It’s been in the news lately and yes, it’s been picked up by a celebrity or two. I’ve read countless stories from friends and since I don’t have a driver on call for me, I’ve experienced one myself. Imagine a five-kilometer journey that cost me P 642.00. If you’re not good with mental math, that’s P 128.00 per kilometer. The worst part is the app didn’t tell me what the so-called surge factor was. That P 642.00 that wirelessly flew from my credit card to your company account didn’t contain a x2.1 or x3.0; it’s an upfront “take it or leave it” fare. I had things to do, so I clicked ‘pick up’ and coughed up that dough. Now, I understand the whole argument about supply-and-demand, and yes, you’ve got a point. Surge pricing is a way to keep Uber and Grab drivers on the road despite the maddening traffic of Metro Manila. It’s an incentive for them not to stall and just wait for traffic to subside before taking on new passengers. But, let me offer you guys a counterargument. 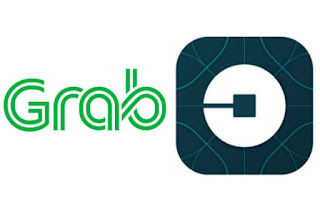 Last year, the LTFRB (Land Transportation Franchising & Regulatory Board) made a landmark decision recognizing you as a new type of public transportation that uses, in their words, “an internet-based technology application or digital platform technology to connect passengers with drivers using their personal vehicles.” The LTFRB uses the term TNC or Transportation Network Company to describe you. And there my good sir, is the rub: you are regulated. Having agreed to be recognized as a TNC, you have to abide by the rules and regulations set forth by the DOTC and the LTFRB. If one day, they’ll say you have to install disco lights or Santa Hats on the roof of your cars, you have no choice. You have to follow the rules, no matter how archaic they are else risk suspension of service or accreditation. Although the Philippines works under a free economy, the government does have to put regulations in place to keep certain businesses in check. Case in point: the National Telecommunications Commission (NTC) and their work to regulate the cost of text messaging and internet speeds. The NTC always seems one step behind, but but imagine if the duopoly was left unchecked? We’ll all be chanting #GlobeNotaHero and #SmartMagnanakaw and these two companies with just shrug it off and nothing about it. It’s the same thing with other basic goods like food, medicine, toll fees, transportation fares, and heck, even real estate. They are all regulated, because it protects the basic rights of the consumer. And while it’s arguable that the use of TNC constitutes a basic right, it does form a part of public transportation which is regulated by the LTFRB, whether you like it or not. Unfortunately for you, Uber and Grab, you’re not exactly left with options here. You may argue that you were pushed to a corner with the DOTC and LTFRB threatening to impound vehicles, considering them as “colorum” before. And yes, you can argue that the LTFRB is troublesome because they have stalled the issuance of new franchises. But the fact that you’ve agreed to the terms and conditions set forth by your regulating body, the very same terms and conditions you’ve helped create, then I’m sorry to say, but there’s little choice but to abide by it. You’ve always presented yourself as a service oriented company, one that aims to help solve Manila’s traffic situation. Now is the time to stand up for that belief. While I’ll continue to use your service and tell people to use it too; it’s time to stop whining, pay your dues, and earn my respect. It’s about time that you help bring public transportation to the next level. Update: A representative from Grab came forward and showed me their new pricing scheme after a hearing with the LTFRB. Under the old scheme, the base rate is P 50 with an additional P 12-17 per kilometer and a maximum multiplier of 1.6. With the new scheme, the base rate is still P 50 but now with an additional P 10-14 per kilometer with a maximum multiplier of 2.0. There is something wrong here. Oh well, LTFRB, I guess you have proven yourself inadept once more. The question now is, with congress breathing down Grab and Uber’s neck to legislate a limit to their surge pricing, how will this affect the entire TNC business as a whole? I'm also a victim of that surge thing going on i was going back home to cubao near araneta center booked an uber at SM Megamall 856 PHP. Unlike before usually it costs around 170 pesos. Uber changed a lot like they're now fixed rates before it was meter type of charging. In my opinion, I would willingly pay a big amount (Php 200-900) if the said service can bring me from one place to another in rush hour traffic as long as I am comfortable in the Uber/Grab vehicle and not having to care about the stress of driving my own car. I'd understand because I don't have a personal chauffeur, therefore if I'd like to travel comfortably, I should be willing to pay a hefty sum. HOWEVER, I need to be notified BEFORE I make the choice to cough up a lot of dough. I want to at least know that they're jacking up the prices. I'd like the app to tell me "HEY, traffic is bad so you'd have to pay up!" so I can at least weigh out my options. If due to capping that more and more Uber drivers will opt out of providing the service, then all current good Taxi drivers should gladly take their place instead. Come to think of it, is this extreme surge pricing applicable/implemented in Metro Manila only? I believe Tokyo and Singapore taxis have consistent standard pricing, irregardless. Now, looking at the upper range of the surge pricing, shouldn't it be called Uber Limousine Service instead? But I should expect the vehicle to be a real limousine and not an ordinary car. Actually, in grab they show you a fixed price so you can weigh out your options. Unfortunately for Uber users this feature is not in use. In uber the price can change depending on the surge.